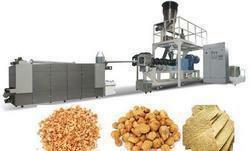 We have gained a remarkable position in the industry by offering a qualitative assortment of Corn Puff Extruder Machine. 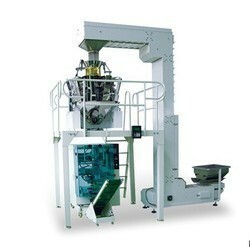 The offered Corn Puff Extruder Machine is widely demanded in the market for featuring variegated attributes like low maintenance and enhanced service life. 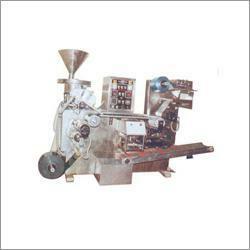 This Corn Puff Extruder Machine is manufactured using utmost-grade components and high-end technology as per the set industrial standards. Before the final dispatch from our end, we thoroughly check the entire range ensuring its flawlessness. Under precious guidance of our skilled professionals, we are engaged in supplying an excellent range of the U Type Mixer Blender Machine. Owing to unmatched quality, corrosion resistance and robust construction, the offered range is widely acclaimed in the market. These products are manufactured by our skilled professionals using premium quality components and progressive technology. Furthermore, we conduct a series of quality tests on the entire assortment to make a flawless dispatch from our end. 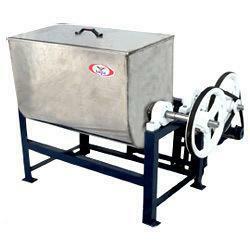 As a specialist in the domain, we are offering a qualitative assortment of Horizontal Flow Wrap Machine. We manufacture the offered machine using quality-tested components and cutting-edge technology in accordance with the industry defined guidelines. Additionally, our quality controllers check the entire range at every stage of production to ensure its high functionality. In tune with clients' different requirements, we offer this machine in various technical specifications. 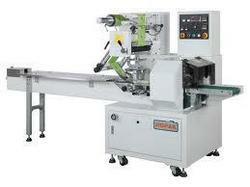 For reasons of quality maintenance, the range of Blister Packing Machine made available by us, is known to be manufactured in compliance with the set industry norms and guidelines, utilizing the finest raw materials and modern machines, ensuring its superior performance, service life, impeccable strength and unmatched capacity. Approx. 4. 5 KVA; three phases 50 HZ;400/450 volts A. C. /single phase 50 HZ;220/240 volts A. C.
Based on skills of our skilled professionals, we are offering a commendable range of Automatic Chips Packing Machine. Known for its sturdy construction and high efficiency, our offered machine is manufactured using fine quality components and cutting-edge technology. Furthermore, this machine is passed through a series of tests under strict inspection of our quality controllers. We offer the entire range in various configurations so as to meet clients' diverse requirements. 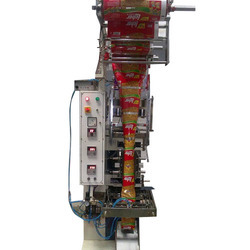 Owing to our highly-advanced infrastructural base and immense knowledge, we are engaged in offering a precision-engineered array of Automatic Processing Plant. Our offered (Kurkure Production Line) range is manufactured by utilizing sophisticated technology and latest equipment at our state-of-art production unit. In post manufacturing process, the entire range is rigorously checked against various quality parameters. In addition to this, these products are used in various food processing industries for preparing snacks. Zia Engineering & Consultancy Services, one of the leading manufacturers, suppliers, exporters and traders of this impeccable range of Food Processing Machine, ever since our establishment in the year 2008. 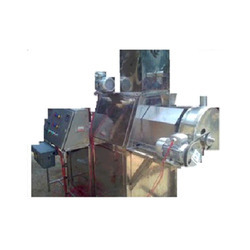 The range comprising the finest Corn Puff Extruder Machine, U Type Mixer Blender Machine, Horizontal Flow Wrap Machine and many more, is widely demanded. Making of this product is done using the finest raw materials and modern technology and following the norms and guidelines, defined by the industry. Because of this, the offered range is known to have an impeccable performance, precision and service life. Further, we provide the finest repairing services rate the most reasonable rate possible. Our highly futuristic infrastructural facility state-of-the-art infrastructural facility, has been laced with all the machinery and equipment, necessary for the attainment of several of the firm’s predefined goals and objectives. The facility undergoes regular up-gradation, ensuring the firm’s growth in the market. To manage the firm’s operations in the best possible manner, the facility has been parted into a number of highly operational units, which are lead by skilled professionals. These units, with high level of unity and hard work, help us boost our productivity. In addition to this, we have generated a huge client base, owing to our ethical working habits. We export our products all over world.